Public health nurses have the great responsibility of caring for entire communities of people at once—instead of one at a time. The field of nursing has evolved a great deal in the past few decades. The roles of nurses are changing increasingly. Public health nurses must be very experienced, educated, and skilled in order to be successful at providing healthcare services to so many people at once. Public health nurses go into the community to provide healthcare services to those in need. They believe that health is affected by factors that include lifestyle, genetics, and environment. Public health nurses do not wait until patients come into hospitals and clinics to seek help for their illnesses. These professionals go into their communities to prevent diseases and improve overall health. These services are especially beneficial to those who do not have healthcare. Public health nurses provide services that include health screenings, preventive care, and health education. Public health nurse provide most of their services in rural and low-income areas. They provide critical care services that include pre-natal care, child immunization, and well-baby care. They also educate the elderly in ways to remain healthy. Public health nurses must be extremely experience in recognizing healthcare crises, and they must have the ability to handle those situations appropriately. Public health nurses may provide services in a variety of settings, including senior centers, schools, local facilities, and schools. Many may also work with a multidisciplinary team to provide services, or they may work alone. They may also work for non-profit groups, community health centers, government agencies, and other organizations with the same beliefs about the importance of proper health. Public health nurses make proper health easy to understand for the local community so that they can take control of their health. They provide information regarding proper care for ill and disabled family members, proper nutrition, early detection of various diseases, and safety practices. A career in public health nursing requires a great deal of specialized education and training. Those who want to have the greatest number of opportunities earn their degree from an accredited institution of higher learning. It is very important that individuals check with their state’s nursing board to indentify schools that are accredited by reputable nursing agencies. Public health nurses must be registered nurses. A few avenues can earn individuals a degree in nursing. The education that provides the most opportunity is earning the Bachelor of Science in Nursing (BSN). The majority of healthcare facilities require the high level of specialized training that the bachelor’s degree in nursing offers graduates. Many healthcare facilities will hire graduates of diploma programs and associate’s programs in nursing to become public health nurses. The nursing shortage has created the need for more nursed than nursing programs can produce. It is also necessary to complete a nursing practicum to graduate from an accredited nursing program. The practicum provides specialized training in the field of nursing, and students receive the training under the supervision of skilled doctors and other healthcare professionals. It is also beneficial to volunteer in the local communities and hospitals to gain greater experiences by helping out with healthcare activities. Students gain a greater understanding of public health, health administration, and public policy with these experiences. Upon graduating, it is very important that graduates take the national licensing exam to become a registered nurse. The NCLEX-RN exam will open the door to more opportunities than a nursing graduate can imagine. A master’s degree in nursing may be required to earn supervisory positions. The average annual nursing salary for a public health nurse is $51,000 annually. Higher salaries are possible with a greater level of experience and education. 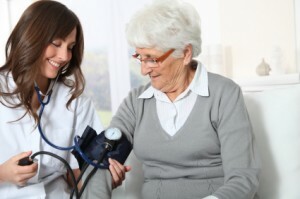 The location in which a public health nurse works can also affect the salary substantially. Public health nurses do not work for the money; they work for the reward of helping others remain healthy. Public health nursing jobs are expected to continue to grow over the next 10 years. The nursing shortage and the number of low-income areas in the country will continue to fuel the need for certified public health nurses. The services that public health nurses provide help to reduce the cost of healthcare significantly. A licensed advanced practice nurse may have a greater number of opportunities due to the competitive nature of the field of nursing. Public health nurses dedicate their time to help educate those in the community, and they often have limited resources to do their jobs. Many travel from long distances to provide their services to the underserved community members. Their reward comes from educating and providing services to keep community members as healthy as possible.